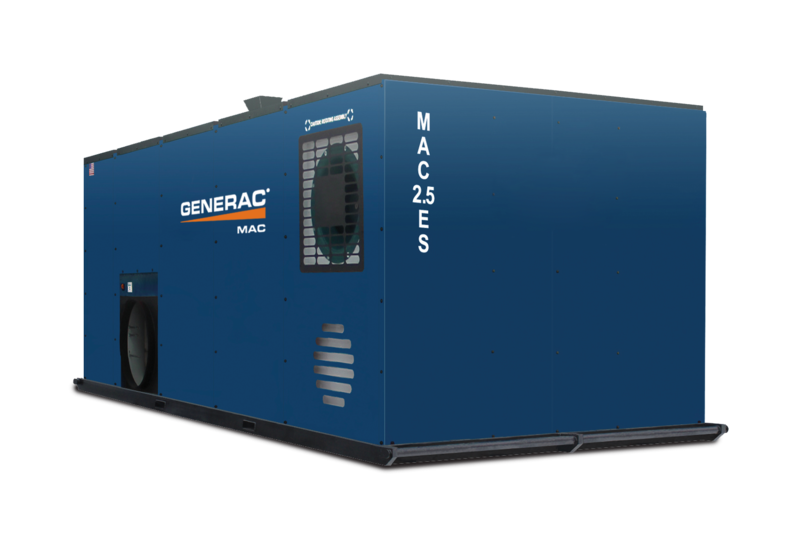 The MAC2.5ES is a large, skid-drag mounted mobile indirect fired heater that is perfect for big construction sites and other large applications. This heater can duct 2,500,000 BTUs per hour up long distances with minimal loss of heat and air pressure. The rugged steel construction, large access doors, and push button controls means that this heater is easy to operate anywhere you need a lot of heat.